Online sales. Amazon, eBay and others. Everyone is being measured to ensure goals are met. KPI’s aren’t just a buzz word, they are how customers decide which pallet network will deliver against commitments made. If your delivery company lets you down will this put your online sales relationships at risk? When you are able to offer a 2 hour window. When you are able to send notifications of expected delivery to mobiles or to email addresses. When you have full visibility of your live consignments to monitor them. 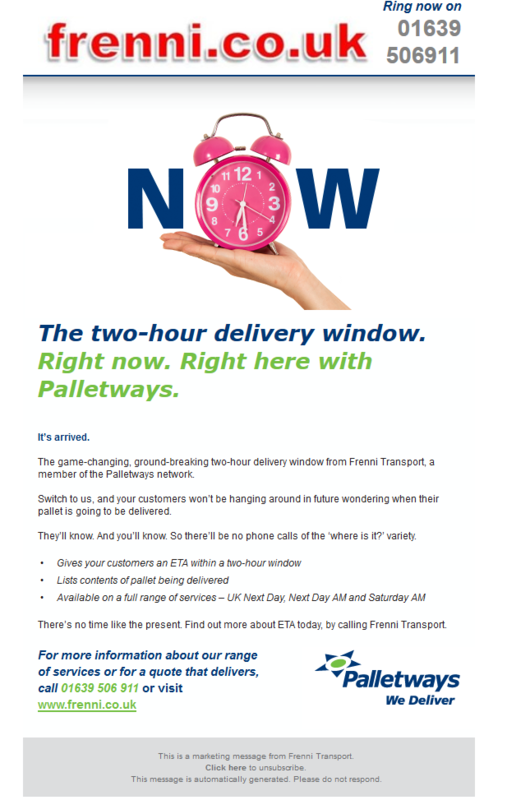 When you have all this you can have confidence that Palletways are the network for you. Ring us now so we can show you how our online portal blows our competition away.